Human subject research is systematic, scientific investigation that can be either interventional (a "trial") or observational (no "test article") and involves human beings as research subjects. Human subject research can be either medical (clinical) research or non-medical (e.g., social science) research. Systematic investigation incorporates both the collection and analysis of data in order to answer a specific question. Medical human subject research often involves analysis of biological specimens, epidemiological and behavioral studies and medical chart review studies. (A specific, and especially heavily regulated, type of medical human subject research is the "clinical trial", in which drugs, vaccines and medical devices are evaluated.) On the other hand, human subject research in the social sciences often involves surveys which consist of questions to a particular group of people. Survey methodology includes questionnaires, interviews, and focus groups. Human subject research is used in various fields, including research into basic biology, clinical medicine, nursing, psychology, sociology, political science, and anthropology. As research has become formalized, the academic community has developed formal definitions of "human subject research", largely in response to abuses of human subjects. "Identifiable information"- specific information that can be used to identify an individual. Ethical guidelines that govern the use of human subjects in research are a fairly new construct. In 1906 some regulations were put in place in the United States to protect subjects from abuses. After the passage of the Pure Food and Drug Act in 1906, regulatory bodies such as the Food and Drug Administration (FDA) and institutional review boards (IRBs) were gradually introduced. The policies that these institutions implemented served to minimize harm to the participant's mental and/or physical well being. In 1947, German physicians who conducted deadly or debilitating experiments on concentration camp prisoners were prosecuted as war criminals in the Nuremberg Trials. That same year, the Allies established the Nuremberg Code, the first international document to support the concept that "the voluntary consent of the human subject is absolutely essential". Individual consent was emphasized in the Nuremberg Code in order to prevent prisoners of war, patients, prisoners, and soldiers from being coerced into becoming human subjects. In addition, it was emphasized in order to inform participants of the risk-benefit outcomes of experiments. The Declaration of Helsinki was established in 1964 to regulate international research involving human subjects. Established by the World Medical Association, the declaration recommended guidelines for medical doctors conducting biomedical research that involves human subjects. Some of these guidelines included the principles that "research protocols should be reviewed by an independent committee prior to initiation" and that "research with humans should be based on results from laboratory animals and experimentation". The Declaration of Helsinki is widely regarded as the cornerstone document on human research ethics. The Belmont Report was created by the National Commission for the Protection of Human Subjects of Biomedical and Behavioral Research to describe the ethical behaviors that involve researching human subjects. By looking primarily at biomedical and behavioral research that involve human subjects, the report was generated to promise that ethical standards are followed during research of human subjects.There are three standards that serve as the baseline for the report and how human subjects are to be researched. The three guidelines are beneficence (ethics), justice and respect for persons. Beneficence (ethics) is described as protecting the well-being of the persons and respecting their decisions by being ethical and protecting the subjects from harm. The two rules of beneficence are maximizing the benefits of research and minimizing any possible risks.It is the job of the researcher to inform the persons of the benefits as well as the risks of human subject research. Justice is important because it causes the researchers to be fair in their research findings and share what they have found, whether the information is good or bad. The selection process of the subject is supposed to be fair and not separate due to race, sexual orientation or ethnic group. Lastly, respect for persons explains that at any point a person who is involved in a study can decide whether they want to participate, not to participate or withdraw themselves from the study altogether. Two rules of respect for persons involve the person being autonomous and persons with diminished autonomy and entitled to protection.The sole purpose of these guidelines is to ensure autonomy and to protect against those with a lesser chance to remain autonomous because of something out of their control. Of note currently in the research field is the manner in which researchers direct their conversations with potential human subjects for a research study. Recently there has been a shift from conducting research studies at research institution facilities or academic centers to rural communities. There is concern surrounding the topics addressed during the discussions with this specific demographic of participants, particularly having to do with funding, overall efficacy of the treatment being studied, and if conducting such studies is done to the highest ethical standard. Ann Cook and Freeman Hoas from the University of Montana's Department of Psychology conducted a study to gain more understanding about what influences potential candidates to consent to participation in any given clinical trial. They published their findings in February 2015. This study is also particularly interesting because Cook and Hoas asked for the perspectives of the researchers and whether they would consent to being a subject in a clinical trial. To assess the shift to rural communities, they surveyed 34 physicians or researchers and 46 research coordinators from states that have “large rural populations and have historically demonstrated limited participation in clinical research.” Proper consent forms were provided and signed at the start of the study. Of the physicians and research coordinators that participated in this study, 90% were from hospital centers or worked in a hospital-clinic setting. Of all the participants, only 66% of research coordinators and 53% of physicians received training in research methods, while 59% of the coordinators received any ethics training. Only 17% of the physicians had ethics research training prior to this study. Clinical trials are experiments done in clinical research. Such prospective biomedical or behavioral research studies on human participants are designed to answer specific questions about biomedical or behavioral interventions, including new treatments (such as novel vaccines, drugs, dietary choices, dietary supplements, and medical devices) and known interventions that warrant further study and comparison. Clinical trials generate data on safety and efficacy. They are conducted only after they have received health authority/ethics committee approval in the country where approval of the therapy is sought. These authorities are responsible for vetting the risk/benefit ratio of the trial - their approval does not mean that the therapy is 'safe' or effective, only that the trial may be conducted. Depending on product type and development stage, investigators initially enroll volunteers and/or patients into small pilot studies, and subsequently conduct progressively larger scale comparative studies. Clinical trials can vary in size and cost, and they can involve a single research center or multiple centers, in one country or in multiple countries. Clinical study design aims to ensure the scientific validity and reproducibility of the results. Trials can be quite costly, depending on a number of factors. The sponsor may be a governmental organization or a pharmaceutical, biotechnology or medical device company. Certain functions necessary to the trial, such as monitoring and lab work, may be managed by an outsourced partner, such as a contract research organization or a central laboratory. For example, a clinical drug trial case at the University of Minnesota that was under investigation in 2015 for the Death of Dan Markingson was funded by AstraZeneca, a pharmaceutical company headquartered in the United Kingdom. In 1961, Yale University psychologist Stanley Milgram led a series of experiments to determine to what extent an individual would obey instructions given by an experimenter. Placed in a room with the experimenter, subjects played the role of a "teacher" to a "learner" situated in a separate room. The subjects were instructed to administer an electric shock to the learner when the learner answered incorrectly to a set of questions. The intensity of this electric shock was to be increased for every incorrect answer. The learner was a confederate (i.e. actor), and the shocks were faked, but the subjects were led to believe otherwise. Both prerecorded sounds of electric shocks and the confederate's pleas for the punishment to stop were audible to the "teacher" throughout the experiment. When the subject raised questions or paused, the experimenter insisted that the experiment should continue. 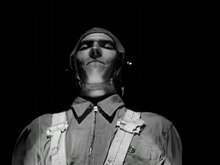 Despite widespread speculation that most participants would not continue to "shock" the learner, 65 percent of participants in Milgram's initial trial complied until the end of the experiment, continuing to administer shocks to the confederate with purported intensities of up to "450 volts". Although many participants questioned the experimenter and displayed various signs of discomfort, when the experiment was repeated, 65 percent of subjects were willing to obey instructions to administer the shocks through the final one. Psychologist Solomon Asch's classic conformity experiment in 1951 involved one subject participant and multiple confederates; they were asked to provide answers to a variety of different low-difficulty questions. In every scenario, the multiple confederates gave their answers in turn, and the subject participant subject was allowed to answer last. In a control group of participants, the percentage of error was less than one percent. However, when the confederates unanimously chose an incorrect answer, 75 percent of the subject participants agreed with the majority at least once. The study has been regarded as significant evidence for the power of social influence and conformity. A classic advocate of Realistic conflict theory, Muzafer Sherif's Robber's Cave experiment shed light on how group competition can foster hostility and prejudice. In the 1961 study, two groups of ten boys each who were not "naturally" hostile were grouped together without knowledge of one another in Robber's Cave State Park, Oklahoma. The twelve-year-old boys bonded with their own groups for a week before the groups were set in competition with each other in games such as tug-of-war and football. In light of this competition, the groups resorted to name-calling and other displays of resentment, such as burning the other group's team flag. The hostility continued and worsened until the end of the three-week study, when the groups were forced to work together to solve problems. The bystander effect is demonstrated in a series of famous experiments by Bibb Latane and John Darley. In each of these experiments, participants were confronted with a type of emergency, such as the witnessing of a seizure or smoke entering through air vents. A common phenomenon was observed that as the number of witnesses or "bystanders" increases, so does the time it takes for individuals to respond to the emergency. This effect has been shown to promote the diffusion of responsibility by concluding that, when surrounded by others, the individual expects someone else to take action. Human subjects have been commonly used in experiments testing the theory of cognitive dissonance after the landmark study by Leon Festinger and Merrill Carlsmith. In 1959, Festinger and Carlsmith devised a situation in which participants would undergo excessively tedious and monotonous tasks. After the completion of these tasks, the subjects were instructed to help the experiment continue in exchange for a variable amount of money. All the subjects had to do was simply inform the next "student" waiting outside the testing area (who was secretly a confederate) that the tasks involved in the experiment were interesting and enjoyable. It was expected that the participants wouldn't fully agree with the information they were imparting to the student, and after complying, half of the participants were awarded $1, and the others were awarded $20. A subsequent survey showed that, by a large margin, those who received less money for essentially "lying" to the student came to believe that the tasks were far more enjoyable than their highly paid counterparts. Throughout the years, many studies have been done on human subjects aiding towards a greater purpose. Human subject research is used across many industries, with one of those being the automotive industry. Research has shown that civilian volunteers decided to participate in vehicle safety research to help automobile designers create more impactful and sustainable safety restraints for vehicles. This research allows designers to inquire more data on the tolerance of a human body in the event of an automobile accident to better improve safety features in automobiles. Some of the tests conducted ranged from sled runs evaluating head-neck injuries, airbag tests, and even tests involving military vehicles and their constraint systems. It is important to note that from thousands of tests involving human subjects, results indicate no serious injuries were persistent. This fact is largely due to the preparation efforts of the researchers to ensure all ethical guidelines are followed and to ensure the safety and well-being of their subjects. Although this research provides positive contributions, there are some drawbacks and resistance to human subject research for crash testing due to the liability of injury and the lack of facilities that have appropriate machinery to perform such experiments. Overall, the experiments have helped contribute to the knowledge of human tolerance for injury in crash impacts. This research is additional data from which testing with cadavers or crash test dummies would prevent us from discovering. Cadavers and crash test dummies still provide meaningful purpose when testing for higher tolerance tests beyond human capability. The increased use of social media as a data source for researchers has led to new uncertainties regarding the definition of human subject research. Privacy, confidentiality, and informed consent are key concerns, yet it is unclear when social media users qualify as human subjects. Moreno et al. conclude that if access to the social media content is public, information is identifiable but not private, and information gathering requires no interaction with the person who posted it online, then the research is unlikely to qualify as human subjects research. Defining features of human subject research, according to federal regulations, are that the researchers interact directly with the subject or obtain identifiable private information about the subject. Social media research may or may not meet this definition. A research institution’s institutional review board (IRB) is often responsible for reviewing potential research on human subjects, but IRB protocols regarding social media research may be vague or outdated. Concerns regarding privacy and informed consent have surfaced regarding multiple social media studies. A research project by Harvard sociologists, known as "Tastes, Ties, and Time," utilized data from Facebook profiles of students at an “anonymous, northeastern American university” that was quickly identified as Harvard, potentially placing the privacy of the human subjects at risk. The data set was removed from public access shortly after the issue was identified. The issue was complicated by the fact that the research project was partially funded by the National Science Foundation, which mandates the projects it funds to engage in data sharing. Moreno et al.’s recommended considerations for social media research are: 1) determine if the study qualifies as human subject research, 2) consider the risk level of the content, 3) present research and motives accurately when engaging on social media, 4) provide contact information throughout the consent process, 5) make sure data is not identifiable or searchable (avoid direct quotes that may be identifiable with an online search), 6) consider developing project privacy policies in advance, and 7) be aware that each state has its own laws regarding informed consent. Social media sites offer great potential as a data source by providing access to hard-to-reach research subjects and groups, capturing the natural, “real-world” responses of subjects, and providing affordable and efficient data collection methods. Unethical human experimentation violates the principles of medical ethics. It has been performed by countries including Nazi Germany, Imperial Japan, North Korea, the United States, and the Soviet Union. Examples include Project MKUltra, Unit 731, Totskoye nuclear exercise, the experiments of Josef Mengele, and the human experimentation conducted by Chester M. Southam. Nazi Germany performed human experimentation on large numbers of prisoners (including children), largely Jews from across Europe, but also Romani, Sinti, ethnic Poles, Soviet POWs and disabled Germans, by Nazi Germany in its concentration camps mainly in the early 1940s, during World War II and the Holocaust. Prisoners were forced into participating; they did not willingly volunteer and no consent was given for the procedures. Typically, the experiments resulted in death, trauma, disfigurement or permanent disability, and as such are considered as examples of medical torture. After the war, these crimes were tried at what became known as the Doctors' Trial, and the abuses perpetrated led to the development of the Nuremberg Code. During the Nuremberg Trials, 23 Nazi doctors and scientists were prosecuted for the unethical treatment of concentration camp inmates, who were often used as research subjects with fatal consequences. Of those 23, 15 were convicted, 7 were condemned to death, 9 received prison sentences from 10 years to life, and 7 were acquitted. Unit 731, a department of the Imperial Japanese Army located near Harbin (then in the puppet state of Manchukuo, in northeast China), experimented on prisoners by conducting vivisections, dismemberments, and bacterial inoculations. It induced epidemics on a very large scale from 1932 onward through the Second Sino-Japanese war. It also conducted biological and chemical weapons tests on prisoners and captured POWs. With the expansion of the empire during World War II, similar units were set up in conquered cities such as Nanking (Unit 1644), Beijing (Unit 1855), Guangzhou (Unit 8604) and Singapore (Unit 9420). After the war, Supreme Commander of the Occupation Douglas MacArthur gave immunity in the name of the United States to Shirō Ishii and all members of the units in exchange for all of the results of their experiments. During World War II, Fort Detrick in Maryland was the headquarters of US biological warfare experiments. Operation Whitecoat involved the injection of infectious agents into military forces to observe their effects in human subjects. Subsequent human experiments in the United States have also been characterized as unethical. They were often performed illegally, without the knowledge, consent, or informed consent of the test subjects. Public outcry over the discovery of government experiments on human subjects led to numerous congressional investigations and hearings, including the Church Committee, Rockefeller Commission, and Advisory Committee on Human Radiation Experiments, amongst others. The Tuskegee syphilis experiment, widely regarded as the "most infamous biomedical research study in U.S. history," was performed from 1932 to 1972 by the Tuskegee Institute contracted by the United States Public Health Service. The study followed more than 600 African-American men who were not told they had syphilis and were denied access to the known treatment of penicillin. This led to the 1974 National Research Act, to provide for protection of human subjects in experiments. The National Commission for the Protection of Human Subjects of Biomedical and Behavioral Research was established and was tasked with establishing the boundary between research and routine practice, the role of risk-benefit analysis, guidelines for participation, and the definition of informed consent. Its Belmont Report established three tenets of ethical research: respect for persons, beneficence, and justice. From the 1950s-60s, Chester M. Southam, an important virologist and cancer researcher, injected HeLa cells into cancer patients, healthy individuals, and prison inmates from the Ohio Penitentiary. He wanted to observe if cancer could be transmitted as well as if people could become immune to cancer by developing an acquired immune response. Many believe that this experiment violated the bioethical principles of informed consent, non-maleficence, and beneficence. ^ a b "Definition of Human Subject Research". Research Administration, University of California, Irvine. Retrieved 2012-01-04. ^ a b c d e f "What is Human Subjects Research?". University of Texas at Austin. Archived from the original on 2012-02-07. Retrieved 2012-01-04. ^ a b c Perlman D (May 2004). "Ethics in Clinical Research a History Of Human Subject Protections and Practical Implementation of Ethical Standards" (PDF). Society of Clinical Research Associates. Retrieved 2012-03-30. ^ Snežana B (2001). "The declaration of Helsinki: The cornerstone of research ethics". Archive of Oncology. 9 (3): 179–84. ^ Tyebkhan G (2003). "Declaration of Helsinki: the ethical cornerstone of human clinical research". Indian Journal of Dermatology, Venereology and Leprology. 69 (3): 245–7. PMID 17642902. ^ a b c "The Belmont Report". HHS.gov. 2010-01-28. Retrieved 2017-04-03. ^ a b "MSU Authentication | Michigan State University". ovidsp.tx.ovid.com.proxy2.cl.msu.edu. Retrieved 2017-04-03. ^ "The Belmont Report | Institutional Review Board". www2.umf.maine.edu. Retrieved 2017-04-24. ^ Cook, Ann Freeman; Hoas, Helena (2015-02-20). "Exploring the Potential for Moral Hazard When Clinical Trial Research is Conducted in Rural Communities: Do Traditional Ethics Concepts Apply?". HEC Forum. 27 (2): 171–187. doi:10.1007/s10730-015-9270-z. ISSN 0956-2737. ^ a b c d Cook, Ann Freeman; Hoas, Helena (2015-02-20). "Exploring the Potential for Moral Hazard When Clinical Trial Research is Conducted in Rural Communities: Do Traditional Ethics Concepts Apply?". HEC Forum. 27 (2): 171–187. doi:10.1007/s10730-015-9270-z. ISSN 0956-2737. ^ "Clinical Trials" (PDF). Bill and Melinda Gates Foundation. ^ United States, Congress, Office of the Legislative Auditor, and James Nobles. A Clinical Drug Study at the University of Minnesota Department of Psychiatry: The Dan Markingson Case. www.auditor.leg.state.mn.us/sreview/markingson.pdf. ^ Zimbardo, P.G. (2007). The Lucifer Effect: Understanding How Good People Turn Evil. New York: Random House. ^ "Stanford Prison Experiment | Simply Psychology". www.simplypsychology.org. Retrieved 2017-04-03. ^ Milgram S (October 1968). "Some conditions of obedience and disobedience to authority". International Journal of Psychiatry. 6 (4): 259–76. doi:10.1177/001872676501800105. PMID 5724528. ^ Milgram S (October 1963). "Behavioral Study of Obedience" (PDF). Journal of Abnormal Psychology. 67 (4): 371–8. CiteSeerX 10.1.1.599.92. doi:10.1037/h0040525. PMID 14049516. Archived from the original (PDF) on June 11, 2011. ^ Asch SE (1951). "Effects of group pressure on the modification and distortion of judgments". In Guetzkow H (ed.). Groups, Leadership and Men. Pittsburgh, PA: Carnegie Press. pp. 177–190. ^ Milgram, S. (1961). "Nationality and conformity", Scientific America, 205(6). ^ Whitley BE, Kite ME (2010). The Psychology of Prejudice and Discrimination. Belmont, CA: Wadsworth. pp. 325–330. ^ a b c d Mook D (2004). Classic Experiments in Psychology. Greenwood Press. ^ a b Cooper, Joel (2007). Cognitive Dissonance, Fifty Years of a Classic Theory. SAGE Publications. ^ Bradford LL (May 1973). Vehicle safety research integration: symposium. Washington: proceedings. Washington: USGPO. pp. 87–98. ^ a b c d Moreno MA, Goniu N, Moreno PS, Diekema D (September 2013). "Ethics of social media research: common concerns and practical considerations". Cyberpsychology, Behavior and Social Networking. 16 (9): 708–13. doi:10.1089/cyber.2012.0334. PMC 3942703. PMID 23679571. ^ "Harvard's Privacy Meltdown". The Chronicle of Higher Education. 2011-07-10. Retrieved 2018-04-23. ^ a b Zimmer M (2010-12-01). ""But the data is already public": on the ethics of research in Facebook". Ethics and Information Technology. 12 (4): 313–325. doi:10.1007/s10676-010-9227-5. ISSN 1388-1957. ^ a b c Kramer AD, Guillory JE, Hancock JT (June 2014). "Experimental evidence of massive-scale emotional contagion through social networks". Proceedings of the National Academy of Sciences of the United States of America. 111 (24): 8788–90. doi:10.1073/pnas.1320040111. PMC 4066473. PMID 24889601. ^ "Opinion | Should Facebook Manipulate Users?". The New York Times. 2014-06-30. ISSN 0362-4331. Retrieved 2018-04-23. ^ a b Grimmelmann J (2014-09-23). "Illegal, Immoral, and Mood-Altering". James Grimmelmann. Retrieved 2018-04-23. ^ Yarkoni T (2014-06-29). "In defense of Facebook". Retrieved 2018-04-23. ^ Watts DJ (2014-07-07). "Stop complaining about the Facebook study. It's a golden age for research". the Guardian. Retrieved 2018-04-23. ^ Федоров, Юрий. "Живущие в стеклянном доме". Радио Свобода (in Russian). Retrieved 2015-08-31. ^ "Angel of Death: Josef Mengele". Auschwitz website. Retrieved 11 March 2013. ^ Mitscherlich A, Mielke F (1992). "Epilogue: Seven Were Hanged". In Annas GJ, Grodin MA (eds.). The Nazi Doctors And The Nuremberg Code - Human Rights in Human Experimentation. New York: Oxford University Press. pp. 105–107. ^ a b Gold, H (2003). Unit 731 Testimony (5 ed.). Tuttle Publishing. pp. 109. ISBN 978-0-8048-3565-7. ^ "Hidden history of US germ testing". BBC News. 2006-02-13. Retrieved 2010-05-04. ^ Katz RV, Kegeles SS, Kressin NR, Green BL, Wang MQ, James SA, Russell SL, Claudio C (November 2006). "The Tuskegee Legacy Project: willingness of minorities to participate in biomedical research". Journal of Health Care for the Poor and Underserved. 17 (4): 698–715. doi:10.1353/hpu.2006.0126. PMC 1780164. PMID 17242525. ^ Gray, Fred D. The Tuskegee Syphilis Study, Montgomery: New South Books, 1998. ^ Skloot R (2010). The Immortal Life of Henrietta Lacks. New York: Broadway Paperbacks. p. 128. AFP (October 31, 2007). "A life haunted by WWII surgical killings". THE BRUNEI TIMES. Archived from the original on 13 December 2014. Retrieved 16 May 2014. AFP (Oct 28, 2007). "Japanese veteran haunted by WWII surgical killings". AFP. Archived from the original on March 17, 2014. Retrieved 16 May 2014. Wikimedia Commons has media related to Human subject research.